I LOVE vinegar! I could literally drink it. My mouth actually waters when I hear the word “vinegar”. Not just one kind of vinegar but ALL of it! One of my favorites however is balsamic vinegar. It is so good but even better when reduced. And, even BETTER when reduced and infused with something else. My favorite thing to infuse balsamic with is pistachios. It creates a flavor that is rich, sweet and nutty. My mouth is watering again! This is a pretty big recipe. 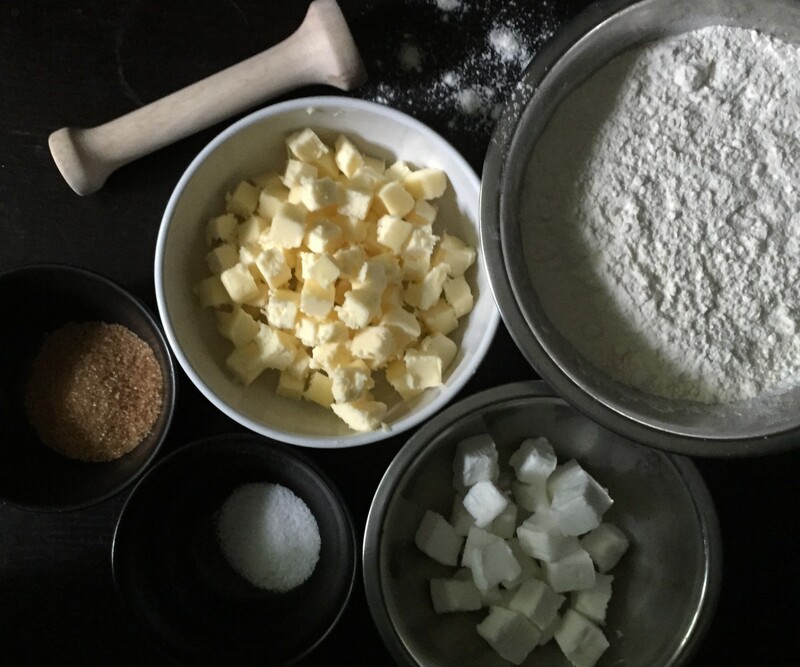 I made the recipe large so that you can give out what you don’t want as gifts. 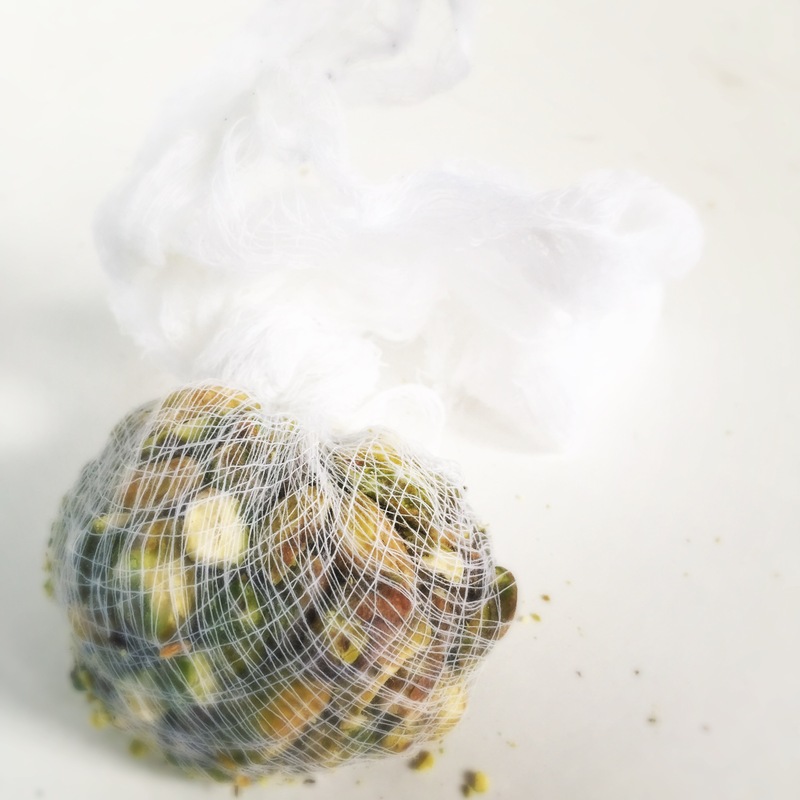 You will want to share this creation with other people…..
Place pistachios in cheese cloth and tie knot to secure them inside. Pour vinegar and pistachios into a large pot and turn on high. Once the vinegar begins to boil, turn down to medium low and simmer until the batch has reduced to half of the original amount. Make sure to stir occasionally and don’t let it get too hot or it will burn. Note: Be sure to run the kitchen fan while heating the vinegar. The vinegar steam is pretty sharp! When the amount has reduced to original amount, remove the pistachios and strain the hot balsamic through a fine metal strainer in order to remove any extra pistachio floaters. Pour into glass containers with a funnel for storage and seal. Note: It’s best to do this when it is hot. 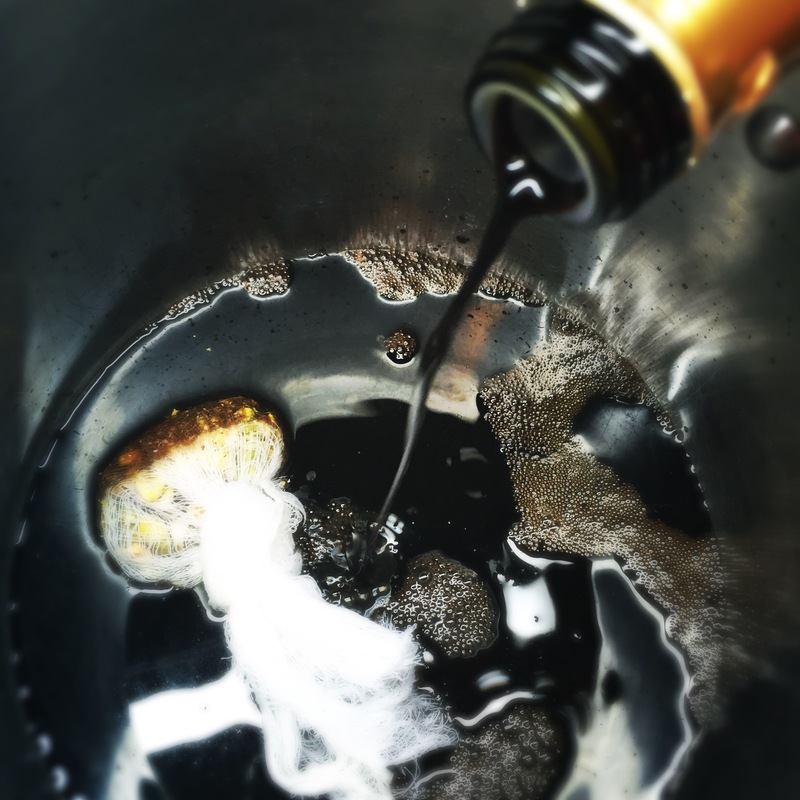 As the vinegar cools, it will thicken, making transfer to containers more difficult. I love balsamic vinegar. A Pistachio Balsamic Reduction sounds awesome 🙂 I’ll have to try it out. 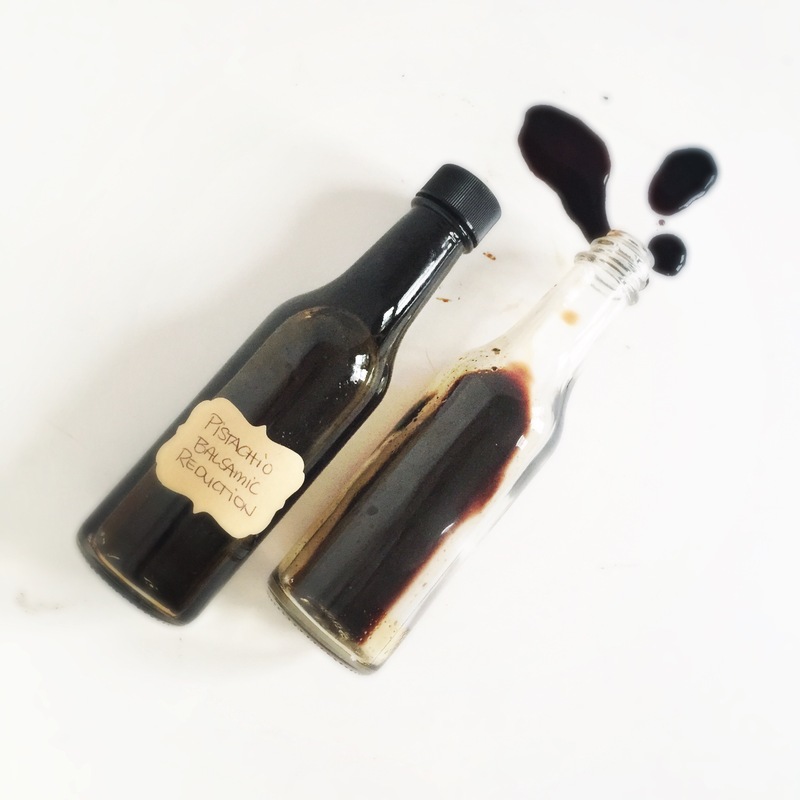 I’ll be a balsamic snob with you 😉 My favourite is a chocolate balsamic reduction I picked up at a trade show a few months ago. Served over vanilla ice cream, it’s heaven. Yep! That sounds amazing! I found a caramel balsamic and it is so good drizzled over green apples! I wonder how they do it… Do they just melt the caramel or chocolate into the vinegar as they’re reducing it? Might be something to try!